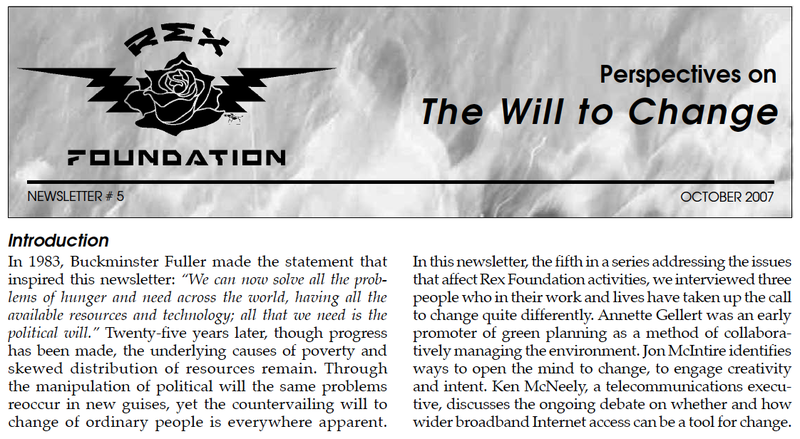 The intriguing concept of political will and what it would take to harness such will for positive change, inspired me and my colleagues at the Rex Foundation to explore this further with the 2007 newsletter Perspectives on the Will to Change. And, in early 2008, The World As It Could Be (TWAICB) project commissioned its second original performance The World As It Could Be: Where There’s A Will There’s A Way to reflect on what it takes to bring to life the words of the Universal Declaration of Human Rights (UDHR). The compelling messages of those we interviewed for the newsletter, as well as the voices of the youth in Where There’s A Will There’s A Way, continue to resonate. The essence of these messages is that we must not let fear or the seeming enormity of a challenge get in the way of taking personal action. 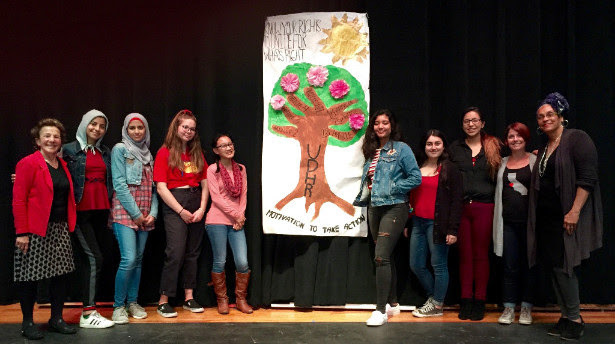 In this dramatic finale the youth name the minute actions they will take to make a positive changes, and we can, too. Recently, Harvard Psychology Professor Steven Pinker has offered helpful and encouraging perspective on the importance of continuing to take action for positive change in his book Enlightenment Now: The Case for Reason, Science, Humanism, and Progress. In this TED talk, Professor Pinker cites vital statistics on the global progress being made in such areas as improving health outcomes, reducing violence, and reducing environmental toxins. He speaks to the fact that while we still, and may always, have many perilous challenges to address, we must acknowledge our continuing progress and know that such advancements are a result of human efforts.